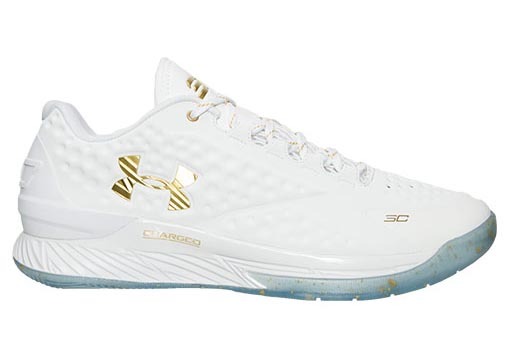 The Under Armour Curry One Low Championship PE appears to only be made for friends and family of the Three-Point contest winner, 2015 MVP and now NBA champion. 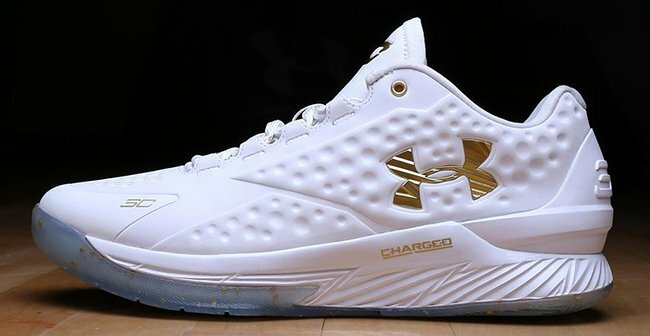 As Under Armour put it, the shoes are “A tribute to those who supported the Journey.” While it has been a long season, the end result is hoisting the trophy for the first time. 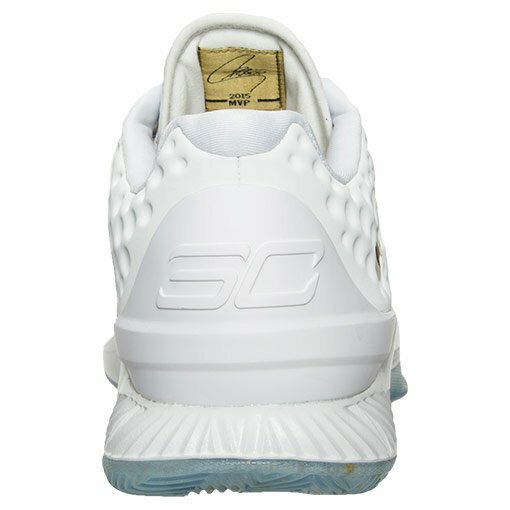 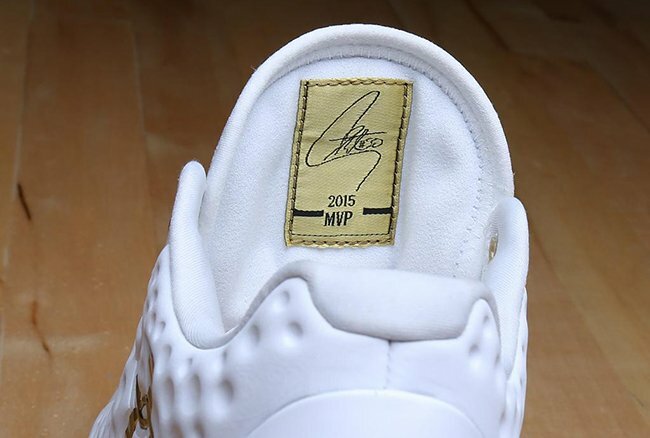 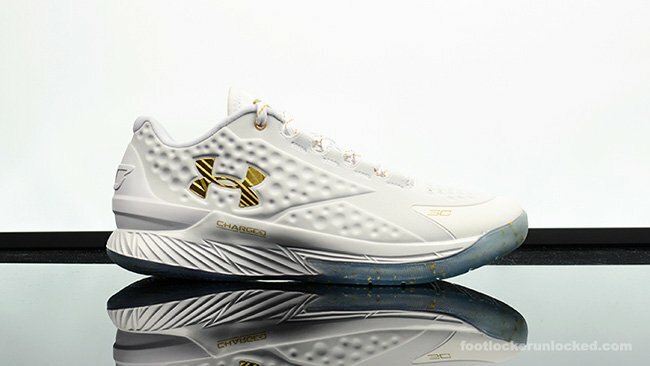 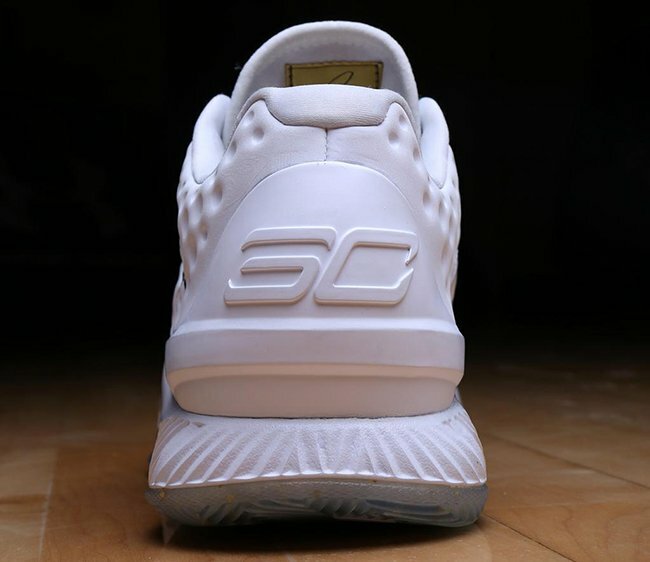 Dressed in white and metallic gold, on the inside of the tongue reads “2015 MVP” but doesn’t make any reference to winning the Larry O’Brien trophy. 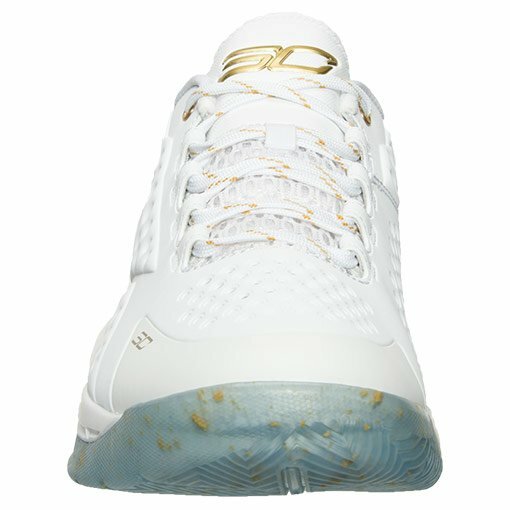 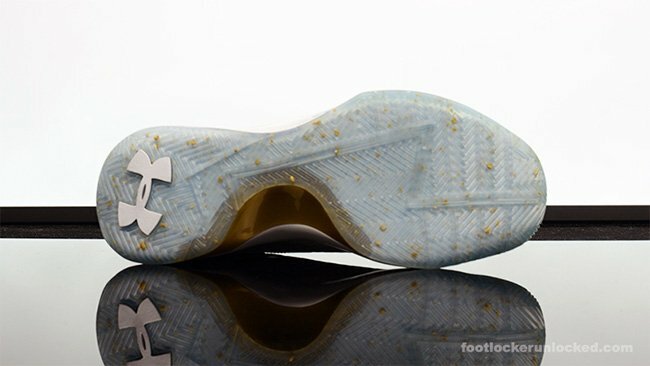 In addition, white is featured across the uppers while metallic gold fills in the branding and speckled across the translucent sole. 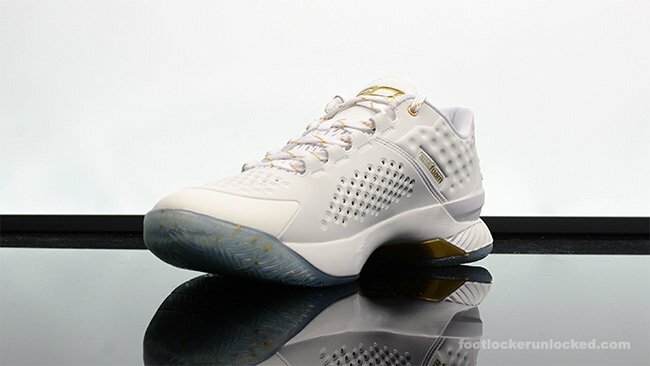 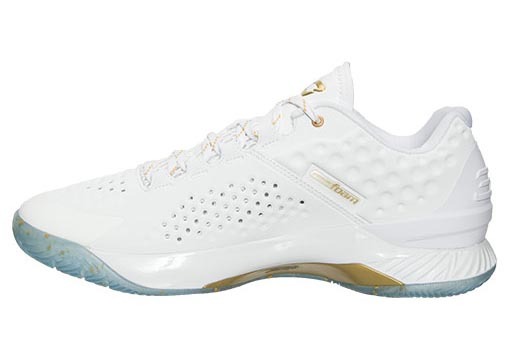 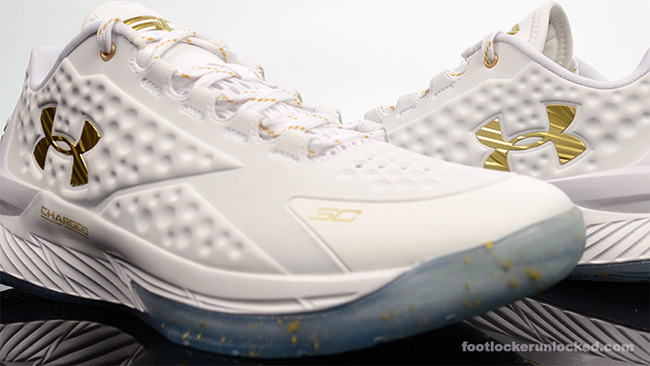 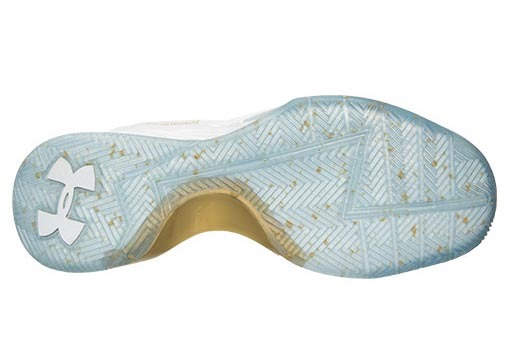 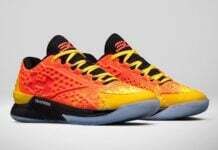 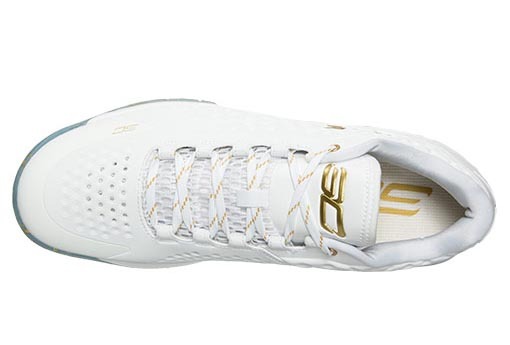 Like previously stated, the ‘Championship’ Under Armour Curry One Low is a PE which only limited numbers were produced and given to friends and family. 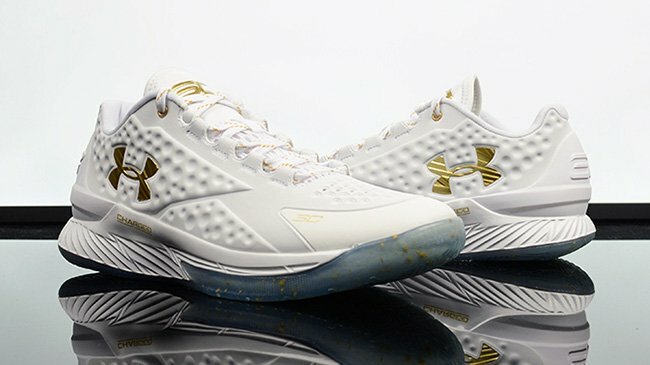 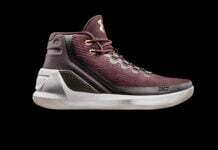 This doesn’t mean UA won’t do another wide spread release, but as of now it doesn’t look like it. 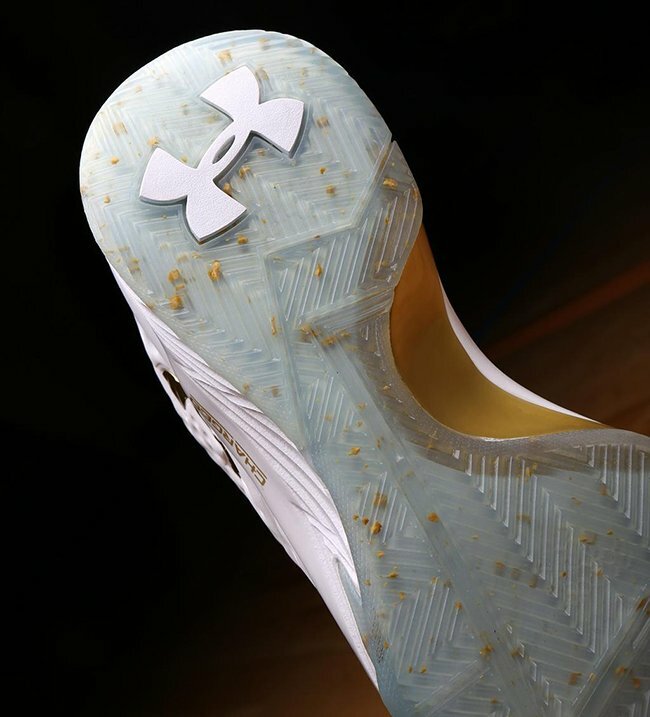 Stay tuned for more info and images as we track a potential launch. 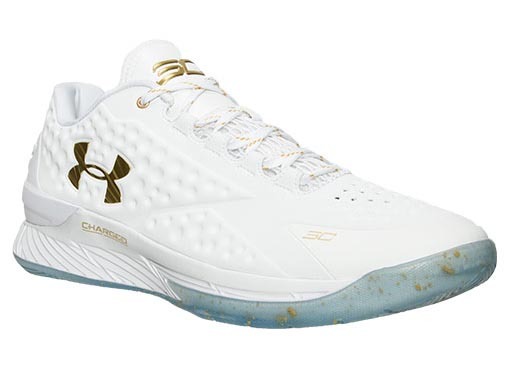 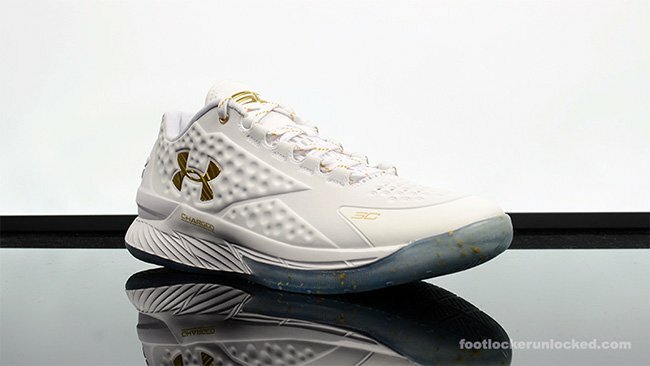 After a small run of the ‘Championship’ Under Armour Curry One Low released to friends and family, UA will launch them to the public on January 1st, 2015 at select retailers. 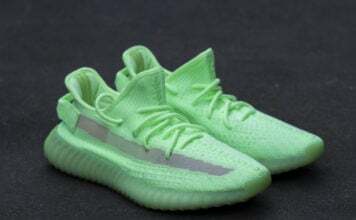 Ticket price will be $110. 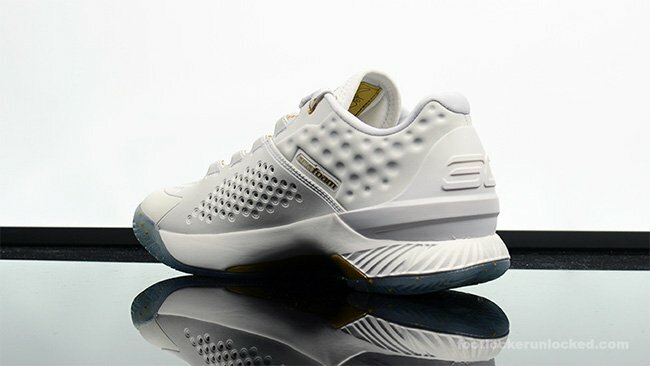 Update: From being a Friends and Family model, the Under Armour Curry One Low ‘Championship’ will release tomorrow at select retailers like FinishLine.com. 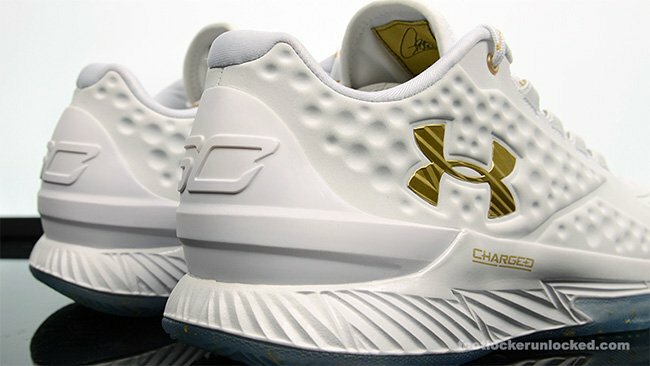 Update: Under Armour isn’t done just yet with the Curry One Low, they will release the ‘Championship’ edition on January 1st for $110. 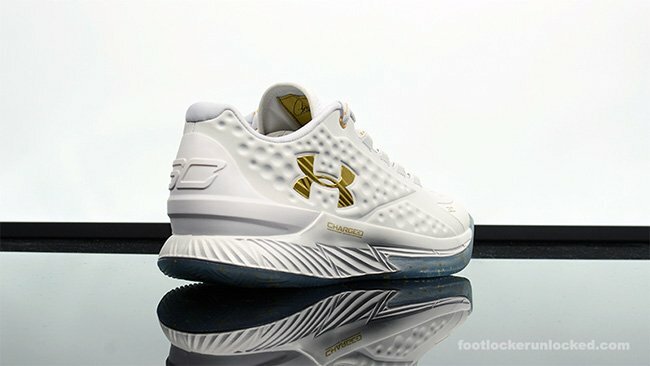 Here we now have a detailed look at the Under Armour Curry One Low ‘Championship’ thanks to FootLocker.com where you will be able to purchase from.